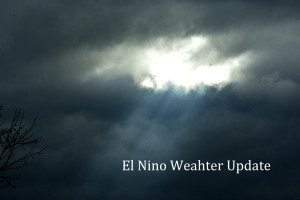 Now is the time to prepare yourself and your family for the effects of El Niño, as this year may bring increased rainfall, high winds, or continued drought. You cannot control the weather, but you can prepare for it. It is always good to make sure that your California home insurance is designed to cover as many weather related risks as possible. Call our office for a free home insurance review. Elevate or move your furnace, water heater, and electrical panels to higher ground if necessary. Inspect your roof and make repairs when necessary. Create an inventory list OF ALL PERSONAL PROPERTY. Save receipts and take photos for documentation. Check your home’s foundation for cracks. Consider purchasing flood or earthquake insurance. Remember to clean the debris from gutters, and consider installing gutter guards. If you live on a hill, make sure you have good drainage around your home. Lock important documents and irreplaceable valuables in a waterproof safe or box. Remove or relocate trees that could cause damage to your home during a storm. Create a disaster kit to include supplies including food and water. Make sure you include items for your pet. Have an evacuation plan and practice the plan with your children. Set a meeting place in the case you are separated from your family. After the storm you may need to make temporary repairs to prevent further damage. Do not remove damaged property until the insurance company has had a chance to view it. Keep receipts for all repairs for the insurance company to review.